"The third installment in the Diablo franchise." Blizzard Entertainment is back again with the third installment of the Diablo franchise. 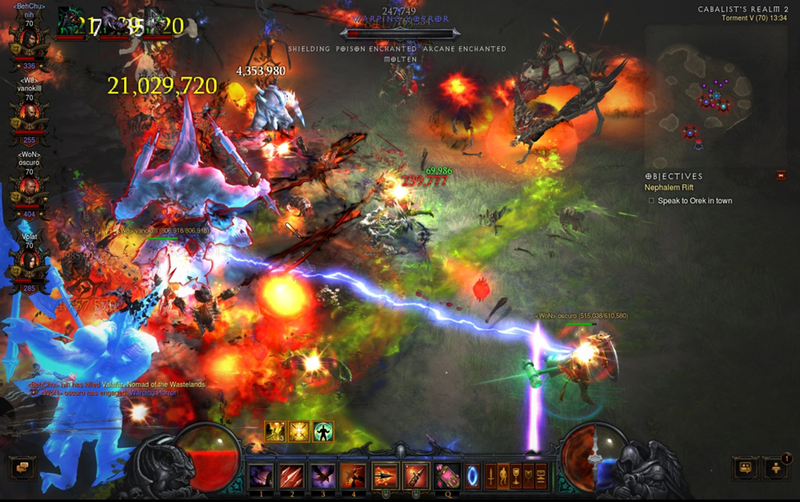 Diablo III is one of the fastest selling RPG games to date selling over 3.5 million copies in the first 24 hours of it going on sale. At E3 Blizzard announced that Diablo 3 would be coming to the next generation consoles this fall. Right now you can play the game on PC, Mac, Playstation 3 and Xbox 360. It will be interesting to see how the game will have changed, evolved since its initial release. We all know that the best experience will be had on the PC, however I am curious as to how the next gen consoles will stack up, specifically the Playstation 4. Just like you could in Diablo and Diablo II, Diablo 3 brings back the character class selection. This is the first thing that you will have to do before starting the game. Selecting the right class for you is one of the most important aspects of the game. It can be the difference between enjoying the game and giving up. Of course you could always start over with a new character if you don't like your initial one, but why go through all of that when you can make the right decision at the beginning. It is imperative that you read the class descriptions for each character and do a little outside research before making a selection. 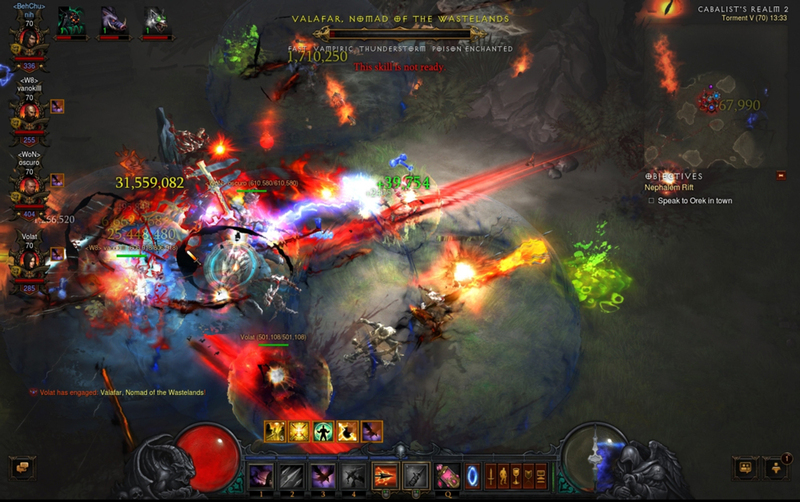 Diablo III puts you in control of a character in the massive, dark open world of Sanctuary. The plot of Diablo III is a continuation of Diablo II and is very evident at the start of the game as your first major task is to - SPOILER ALERT - rescue Cain from the crater into which he fell. 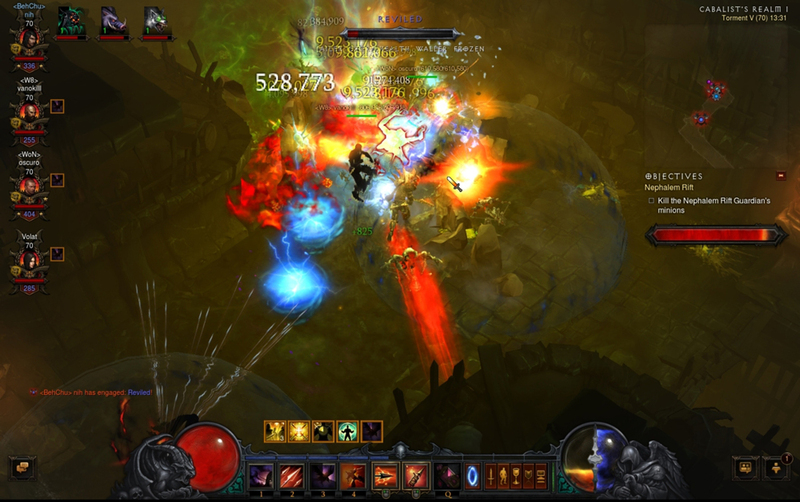 New in Diablo 3 is a PvP (player vs player) brawling mode. It was introduce in a very limited form allowing up to 4 players to go head to head in a free for all style match where they can fight to defeat each other.